No home has life without BOOKS and no decoration is complete without a stylish BOOKSHELF. There are many different shelving systems to consider when it comes to your books and their homes. Today,I want to share some of my favorite wall mounted book shelving systems and the different materials used to build them. Wood is the main element for a majority of bookshelves, because, it can easily be sturdy enough with the right thickness of planks and application methods. Metal is also an elegant material of preference.Metal can easily be folded and painted for different design options. of metals of varying thickness. CNC cutting methods are sometimes used to create stylish patterns on the shlef or the side divisions. Glass is sometimes used as shelves or partitions. Rarely,a bookshelving system is designed only with glass as the main material,because the shelves need to be made out of expensive thick glass to hold heavy weight of the books. 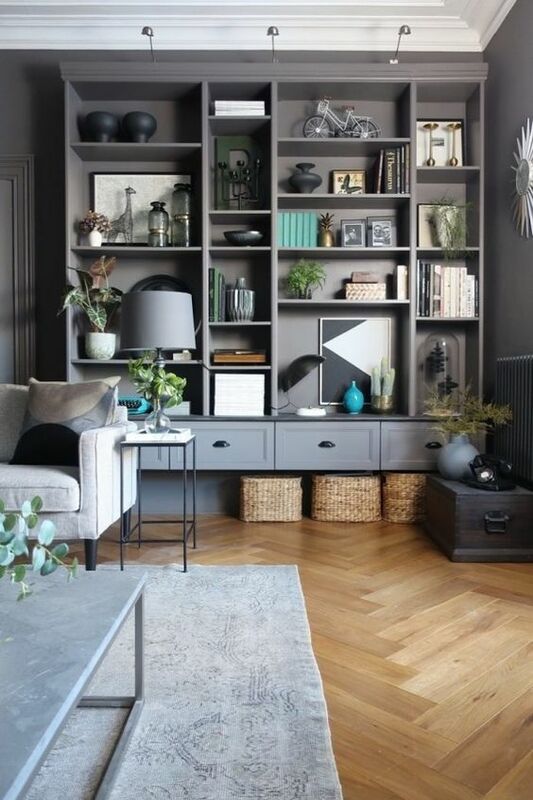 AND, of course, all of these basic materials can easily be combined to design a wall mounted BOOKCASE. For instance,a shelving system can be made out of wood with metal or glass partitions or vice versa. Either way,a BOOKSELF made of different materials will always be as interesting as a solid wood bookshelf as long as all details are carefully crafted.